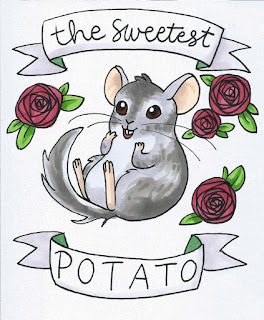 Here's a drawing I did of my darling boy, Rocky Chinchillini. The Potato-shaped Prince, the sweetest of potatoes. Watch me color this illustration (chinchillustration?) on my youtube channel!